Since 1975 family owned and operated, we’ve built our customer base through years of determination and hard work. We take great pride in providing you with a high level of quality service and aim for complete satisfaction when choosing Rustic Fence, Inc. for all of your residential and commercial fencing needs. Our company focuses on customer service practices based on courteous and professional service for all our clients. 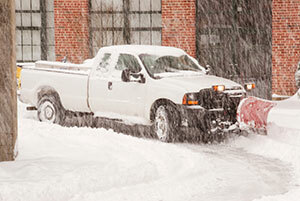 Rustic Fence, Inc. provides snow plowing services to the local areas of Howard, Carroll and parts of Frederick County. We’re a full-service professional fence contractor providing a complete range of fence installations and fence repairs serving homeowners, general contractors, home builders, architects, landscapers and more. We have an outstanding reputation for service and workmanship and provide quality results on any size project. 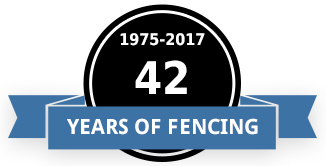 Our full range product selection allows our customers to make educated height, style and material choices to best suit their fencing needs at competitive pricing. Be sure to visit our photo gallery! Rustic Fence, Inc. can provide expert fencing and installation for any of your residential and commercial fencing needs whether the need is an athletic field, sport court, 6 board estate fence, vinyl privacy fence, aluminum fence around a pool area, chain link, 3 or 4 board paddock, and much more.